The Avondale School Community Christmas Carols was held on Sunday, 3rd December and what a night it was! We were proud sponsors of the event and we attended to enjoy the carols along with the community. With gates opening at 4:30pm, the community made their way in, carrying chairs, eskies and picnic blankets. The Lakes Mail reported that an estimated 5,000 people attended the event! The on-stage performers included Harrison Craig, Colin Buchanan, Felix Quinn Music, Ashrae, Dan Murphy and The Promise. Plus dancing and the school choir. The weather was also spectacular - with a full moon setting behind the main stage between golden clouds as the sun went down. Santas arrival was nothing short of amazing - he arrived by Helicopter - and the kids went absolutely nuts! The night ended with a spectacular fireworks display. They really topped off a great event! We wish to thank Avondale School for allowing us to be involved as a sponsor, and we would like to congratulate them on doing an incredible job with this years carols. We can't wait for next year! 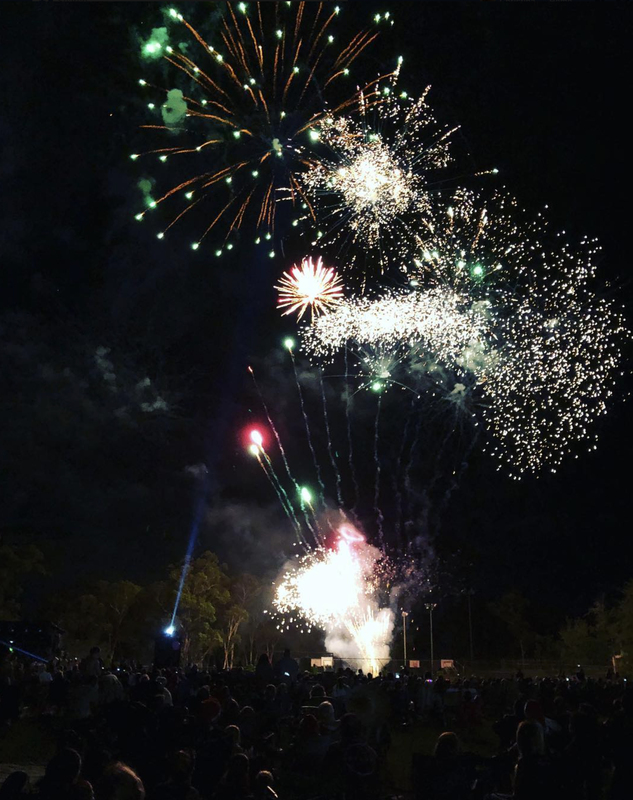 Photo of fireworks courtesy of Avondale College.